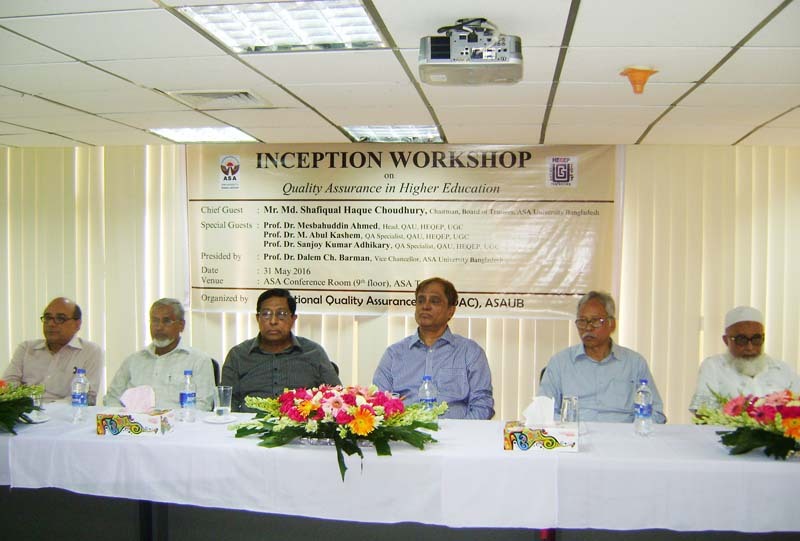 Institutional Quality Assurance Cell (IQAC) of ASA University Bangladesh (ASAUB) organized its Inception Workshop on " Quality Assurance in Higher Education"held on 31 May 2016 in ASA Conference Room. 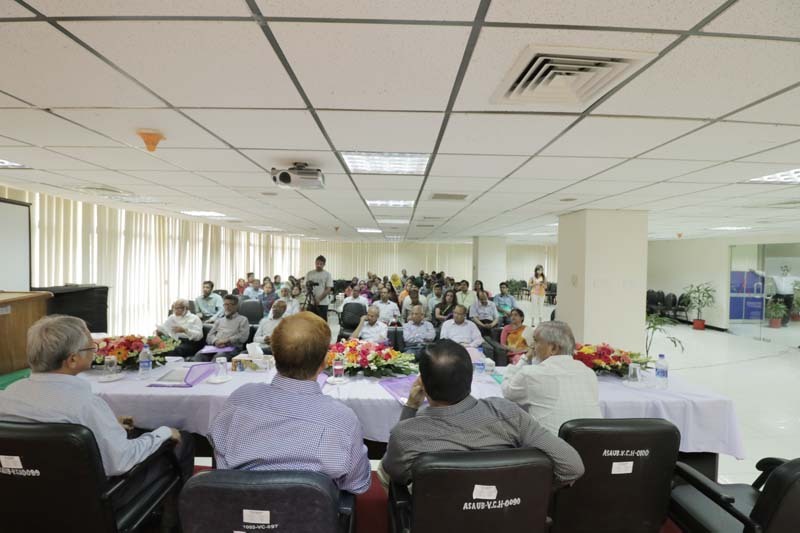 This workshop is a part of the ongoing quality assurance process implemented at ASAUB by its IQAC, under Higher Education Quality Enhancement Project (HEQEP) of the Government of Bangladesh and funded by the World Bank. Mr. Md. Shafiqual Haque Choudhury, Honorable Chairman, Board of Trustees, ASAUB was present as the Chief Guest while Prof. Dr. Dalem Ch. Barman, Vice Chancellor of ASAUB Chaired the program. Mr. Md. 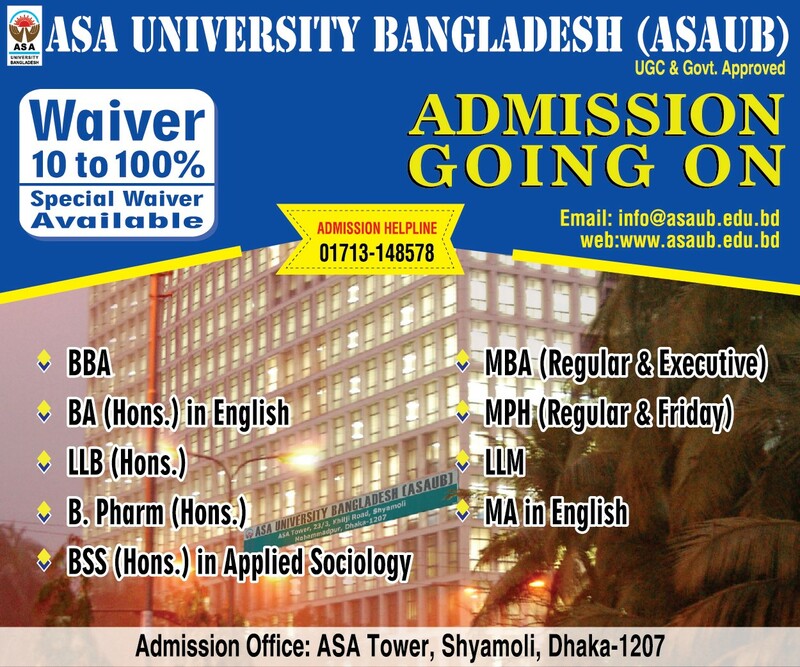 Moniruz Zaman, Assistant Professor of ASAUB and Additional Director, IQAC, ASAUB delivered the welcome address and Prof. Dr. Iqbal Hossain, Dean-in-Charge, Faculty of Business, ASAUB and Director, IQAC, ASAUB extended the Vote of Thanks for precious presence of all. Prof. Dr. Mesbahuddin Ahmed, Head, QAU, HEQEP, University Grant Commission (UGC) of Bagladesh, Prof. Dr. M. Abul Kashem, QA Specialist, QAU, HEQEP, UGC and Prof. Dr. Sanjoy Kumar Adhikary, QA Specialist, QAU, HEQEP, UGC were present as Special Guests in the workshop. 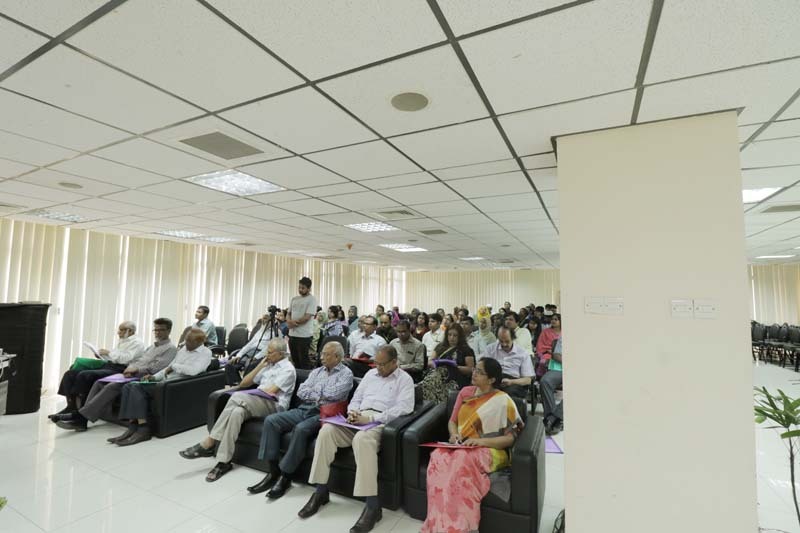 In the technical session, they made presentations on various aspects of quality assurance in higher education. Prof. Dr. A.K.M. Helal uz Zaman, Treasurer of ASAUB, Deans and Chairmen from different Faculties and Departments, Registrar of ASAUB, teachers from different departments, and officials of ASAUB were present in the workshop.